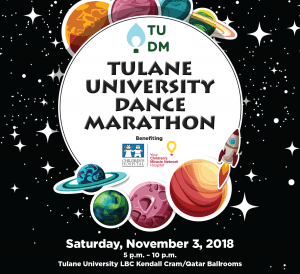 Tulane University is hosting their annual Dance Marathon on Saturday November 3! All proceeds the students raise at these events stay local to help kids at #CHNOLA! If you’d like to make a donation to their cause, head to tulane.it/tudm2018! Next post: Support TUDM For The Kids!